Stop the guesswork. Make the right calls this summer. 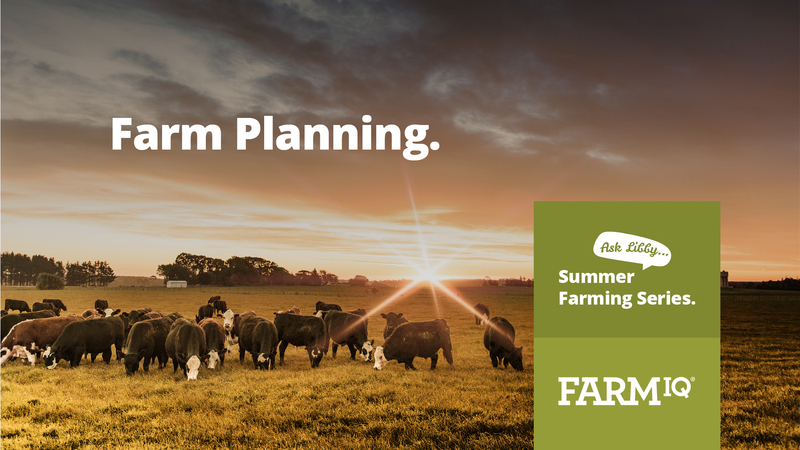 The unpredictability of summer weather, along with all of the decisions you need to make right now and also planning for the upcoming season make summer farming challenging. 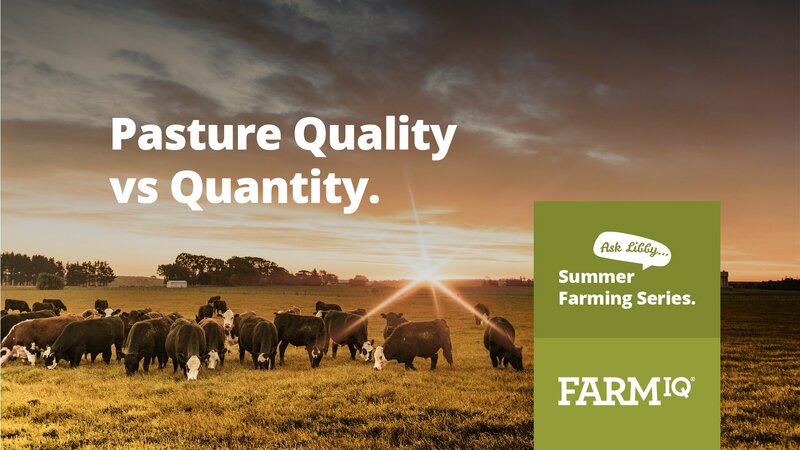 FarmIQ’s Libby Wood and Todd White bring you the ‘Summer Farming Series’ to show you how FarmIQ can help take some of the guesswork out of summer farming so you can feel confident that you're making the right decisions. Join Libby and Todd in our comprehensive and easy-to-follow video series. The series kicks off with the burning question—with the threat of drought, what stock should you sell and when? 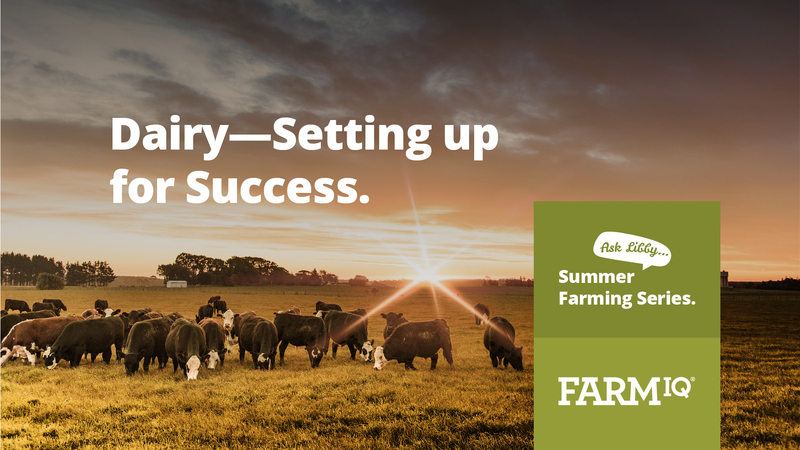 Learn about all the factors you need to consider and watch how FarmIQ can help you make the decision with confidence. 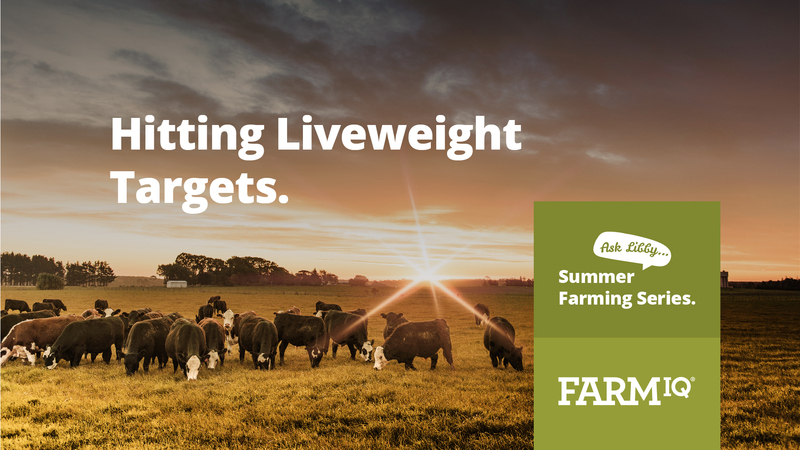 We look at how you can best juggle pasture quantity and quality, in the harsh summer environment it’s not always possible to have both. Libby and Todd discuss what you should be looking for and the role FarmIQ can play. Start autumn on the front foot, make the right decisions in summer. For dairy the focus is on the balancing act between maintaining milk production and obtaining the right body condition for mating. See how FarmIQ can help. Be confident that your ewes bounce back after weaning so they’re in optimum condition for conception. 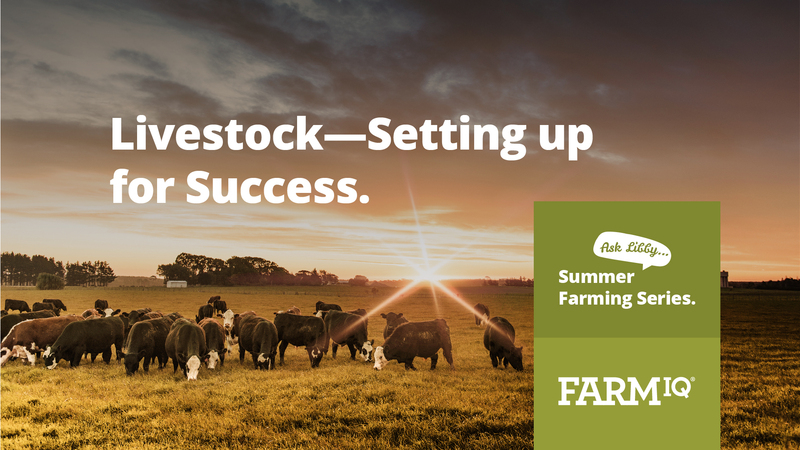 Monitoring stock performance throughout summer in FarmIQ is crucial to success come autumn. Topic Five focuses on the crucial aspect of grazing management and the art of keeping pasture in the green zone for as long as possible to ensure that you make or even exceed your liveweight targets. Maintaining a high and flat milk curve over summer is the ‘holy grail’ of dairying. It’s easier said than done. Unlocking your farm’s historical data is key, watch how ‘looking back’ can help you look forward. The key drivers of farm productivity—feed quality and animal health shouldn’t be forgotten, even when times are good. FarmIQ can help manage the complexity of your farming system, learn how farm management plans can help.